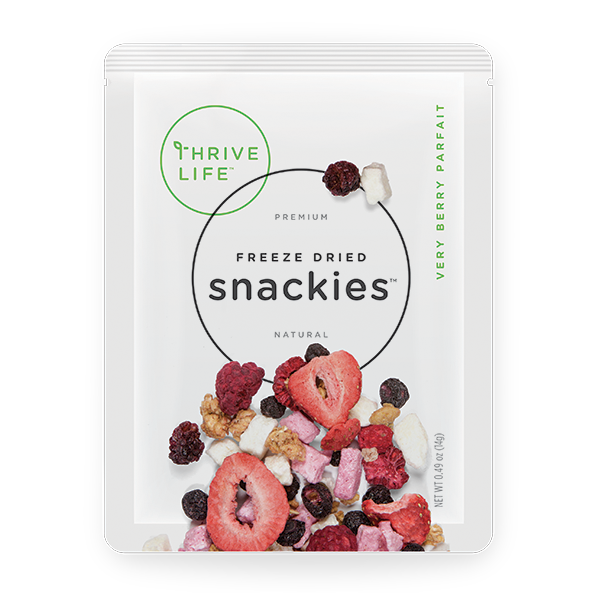 Crunchified berries, creamy yogurt, and energizing granola blended together for a fruit-packed parfait. No spoon required! BERRY BLEND (BLUEBERRIES, SLICED STRAWBERRIES, BLACKBERRIES, RASPBERRIES), GRANOLA (WHOLE ROLLED OATS, DRIED CANE SYRUP, HIGH OLEIC SUNFLOWER OIL, MOLASSES, WHOLE OATFLOUR, RICE FLOUR, HONEY, MALTODEXTRIN, SALT, NATURAL FLAVOR, MIXED TOCOPHEROLS, SOY LECITHIN), VANILLA YOGURT BITES (SUGAR, SKIM MILK YOGURT, TAPIOCA STARCH, FLAVORS), STRAWBERRY YOGURT BITES (SUGAR, STRAWBERRY, SKIM MILK YOGURT, STARCH, NATURAL FLAVOR, BLACK CARROT JUICE CONCENTRATE).